Wingspan 18-24 mm. 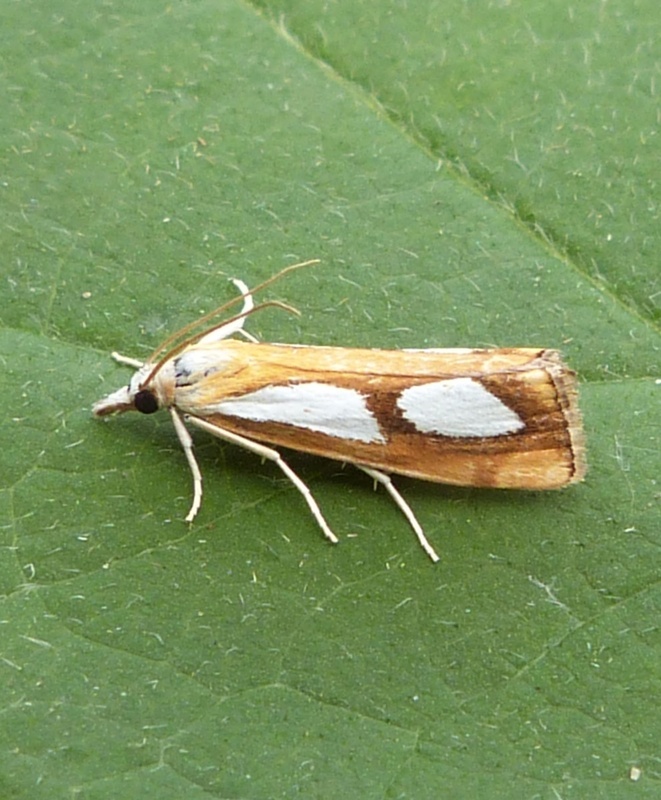 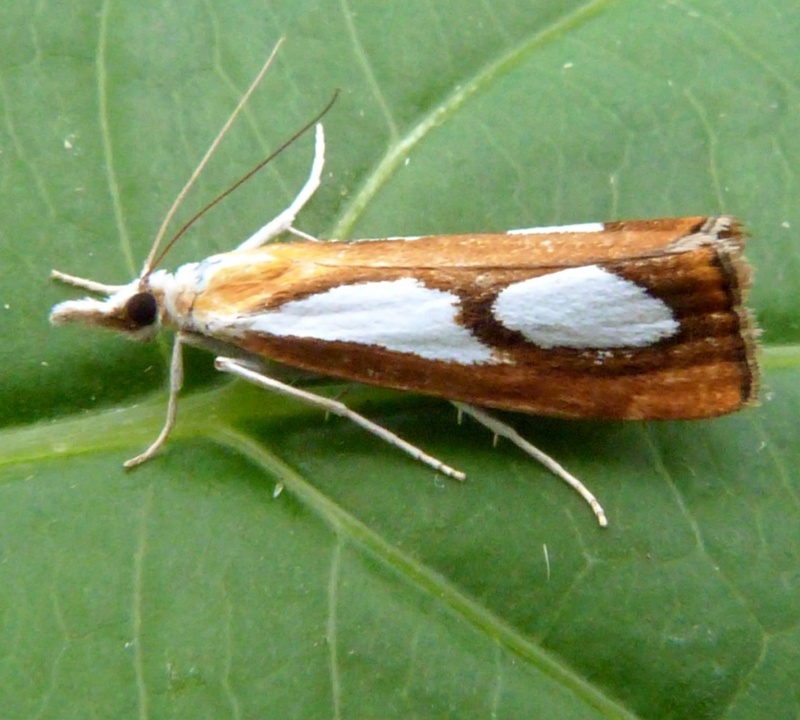 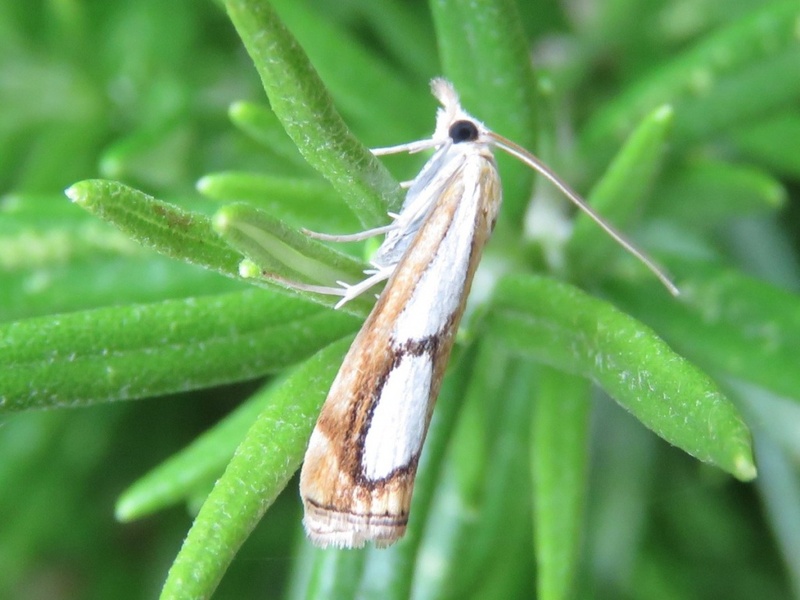 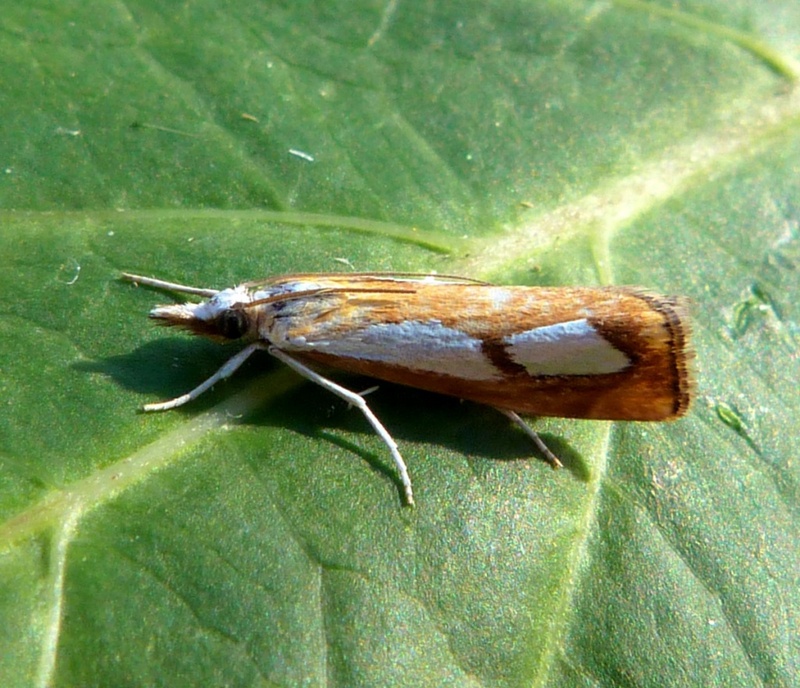 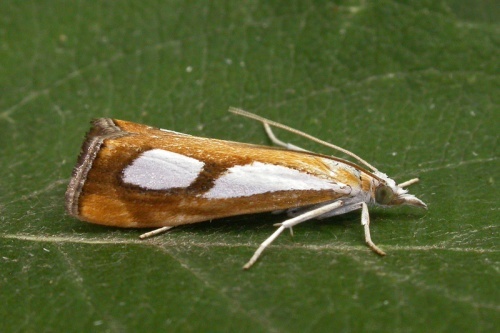 An attractive and distinctively marked moth, the orange wings having two large white discs. 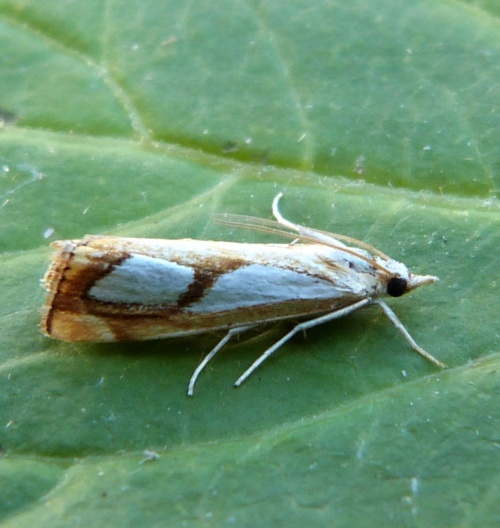 Damp areas, boggy heath land, fens and marshes. 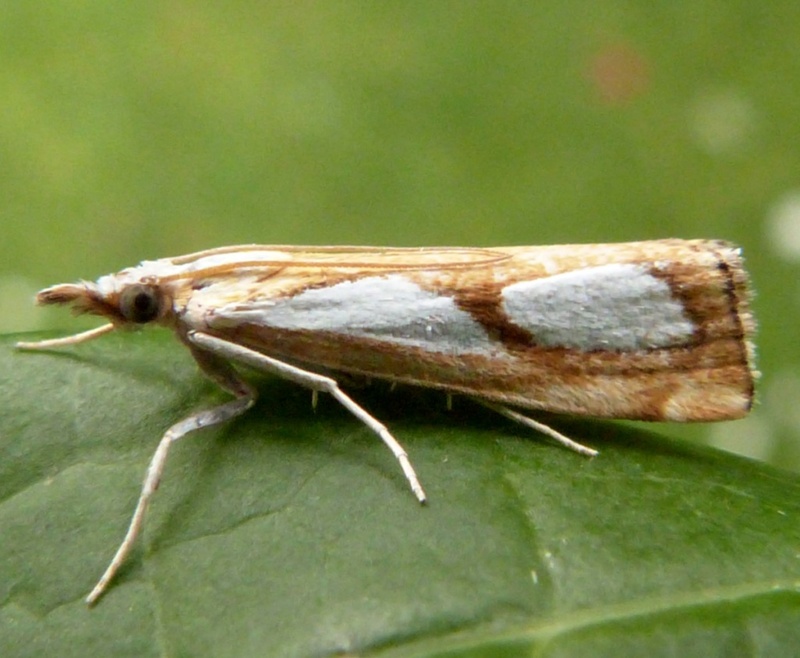 The larvae feed on grasses grow that grow in damp habitats. Distributed over many parts of Britain but is most common in the south and east. In the Butterfly Conservation’s Microlepidoptera Report 2011 this species was classified as common.